BHSEC Takes On the 2017 Big Apple Half Marathon! On Sunday, December 10th at 9:00am, while everyone rested from a snow-filled Saturday, four dedicated and talented runners geared up to participate in the 2017 Big Apple Half Marathon. 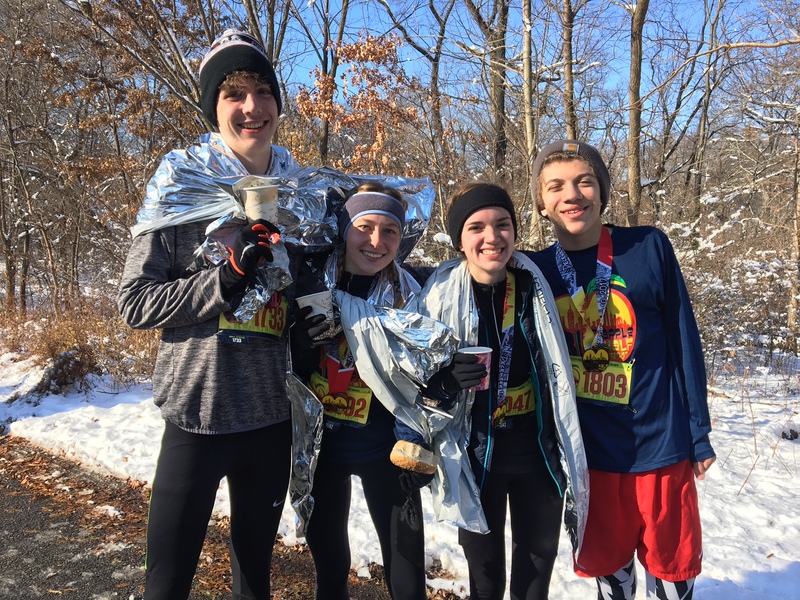 Stasya Rodionova (Y2), Rainer Turim (Y2), Chris Stauffer (Y2) and Oresta Hewryk (Y2) ran 13.1 miles in Central Park despite the low temperature and snow covered trails. The event began on the West Drive near 96th Street and ended on the 102nd street Transverse. The course included two and a half laps around the park with multiple uphills, downhills, and narrow paths. Each BHSEC students not only completed the challenging run, but finished with astounding times. Rainer Turim placed 2nd in his age group with a time of 1 hour and 46 minutes. Chris Stauffer placed 5th with a time of 1 hour and 51 minutes. Stasya followed up placing 7th and Oresta placed 21st. Each runner received a medal and was welcomed back with bagels, hot chocolate, Cliff bars and intense support. These accomplishments represent the endless possibilities that result after hard work and dedication. All four participants are co-captains of the BHSEC Cross Country team and have been training since September. However, after the season ended in November, they continued to train individually, preparing themselves for this day. Experiences like these inspire us to challenge ourselves and redefine our limits. Make sure to show your support and congratulate them! Hopefully, this is only another step in their long lasting running careers. Previous BHSEC Debate Team Takes Princeton!